These black olives are naturally dried. Cured and sprinkled with extra virgin olive oil and rosemary, these olives are full flavored and slightly bitter. Serve as an appetizer, hors d'euvre, or in salads. 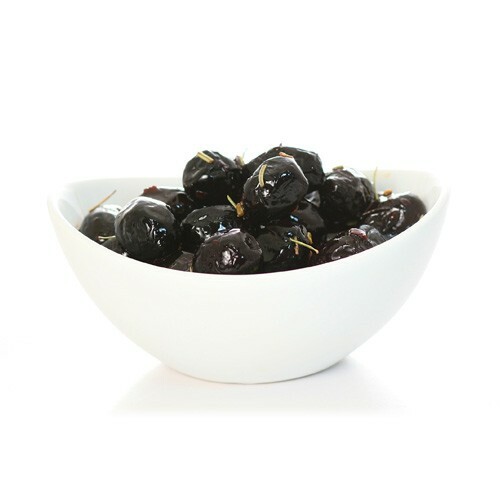 Moroccan Oil-Cured olives are also nice as a pizza topping. Specify either pitted or with pit.